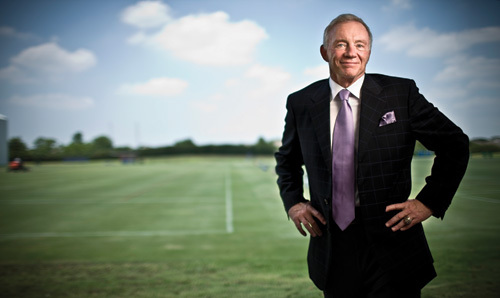 Dallas Cowboys owner Jerry Jones is now on record. He says entertainer Jessica Simpson’s relationship with his quarterback Tony Romo is actually GOOD for the team. 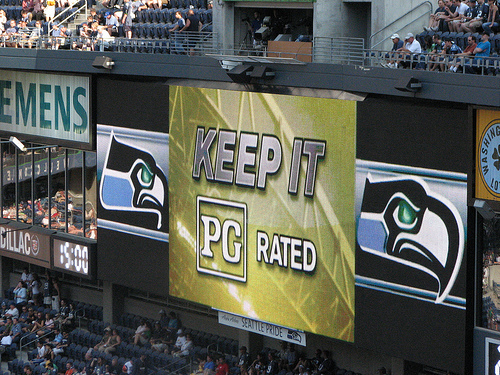 The NFL is out in full force with its new Code of Conduct policies. The league has now taken it upon itself to regulate fans. New rules include no standing, swearing or KISSING YOUR WIFE at National Football League games this season. The league will also go through stadium parking lots this year and kick out tailgating fans who don’t have tickets to the actual game. 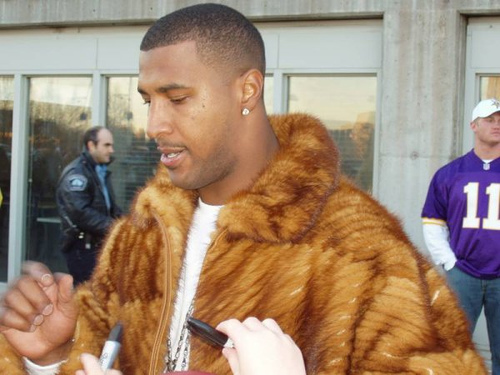 Newly signed Pittsburgh Steelers backup quarterback Byron Leftwich had some harsh words for fellow qb Daunte Culpepper yesterday, calling him “a fool.” Originally, the Steelers were going to sign BOTH Leftwich and Culpepper after veteran backup quarterback Charlie Batch was injured in the team’s first preseason game. 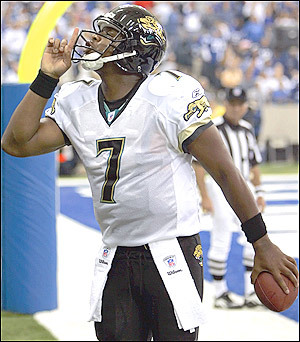 Although Leftwich gets “only” $645,000, that’s $645,000 more than the unemployed Culpepper will get. Culpepper’s demands are laughable since he’s now flamed out with every team he ever played for (Vikings, Dolphins and Raiders.) Meanwhile Roethlisberger has thrown for over 3,000 yards in each of the last two seasons and had a quarterback rating of 104.1 last season. Breast implant expert Jenn Sterger is now officially a member of the New York Jets. What’s been talked and written about on the internet for a couple of days has turned out to be true. The Jets have hired the former Florida State Cowgirl for their pre and postgame shows. The Sterger hiring was posted on newyorkjets.com where she is described as “sassy.” I’m trying to picture a similar announcement regarding a male announcer. I doubt there will ever be an official club press release announcing the hiring of the “sassy” Joe Buck. For whatever reason, Goodman picked Tuesday to float the biggest trial balloon of his political career. Goodman says he wants to build an 80,000 seat football stadium in Las Vegas. He also laid out his plans for the proposed facility. 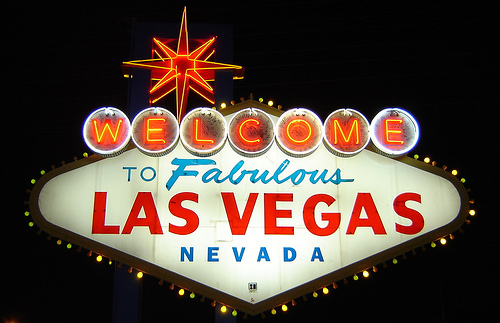 The mayor wants Las Vegas to be the permanent host for the Super Bowl. His plan would also have the NFL move every Monday Night Football game to Sin City. Of course, none of these things are ever going to happen. The National Football League HATES Las Vegas. Still, it’s an interesting plan. 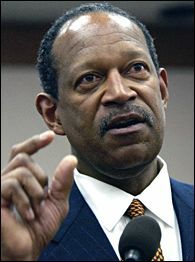 On a more realistic note, the Las Vegas Convention and Visitors Authority announced it was hiring a lobbying company to help the city with “transportation issues.” Specifically, the company will try to secure federal funds to improve U.S. highway 93 to Phoenix and lobby for Los Angeles/Las Vegas train service. An LA-Las Vegas train study would include magnetic-levitation technology and proposals by Amtrak for conventional rail. IS THE NFL READY FOR A FEMALE REF ? You can expect this story to break through with the mainstream media any day now. 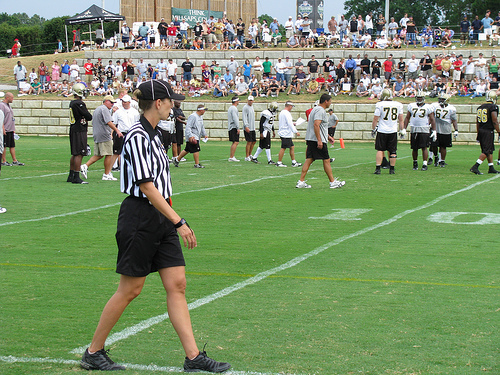 As first reported on a local blog, there was a woman officiating at the New Orleans Saints practice last week. Last year Sarah Thomas became the first female to officiate in a 1-A college football game. Thomas was a line judge in the Memphis/Jackson state game September 15th. Sports Illustrated even wrote a small feature on Thomas following the game. NFL teams often bring college refs to help with practices. Thomas was one of those officials last week with the Saints. ESPN even wrote last year that Thomas is being “scouted” by the NFL. The league has refused to comment on whether Sarah Thomas is being considered for a future NFL job, but there is speculation that she is being groomed for a future job. The NBA has used female officials since 1997. 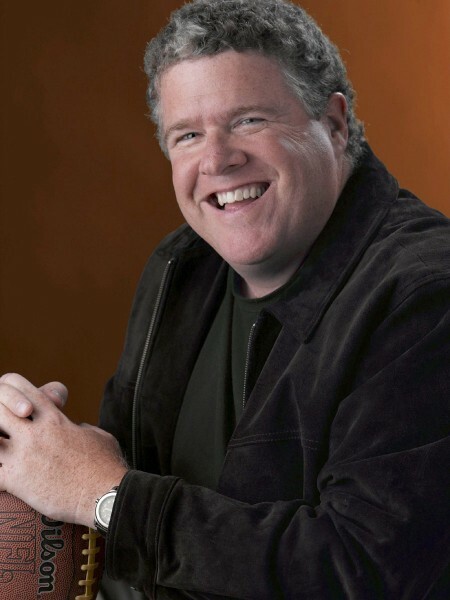 Peter King of Sports Illustrated and NBC is probably the preeminent football writer in the country. He makes a reported $1 million a year. Therefore you’d think he would be above making rookie mistakes. Like printing some wild, baseless rumor just because one source tells him it’s true. Particularly when that source has a HUGE agenda. There’s only one problem. THERE’S NO SUCH THING AS THE UNITED FOOTBALL LEAGUE! The THEORY of the UFL was hatched a couple of years ago. Mark Cuban was even part of the original publicity for the proposed new league. Then again, so was T. Boone Pickens and he has already officially pulled his name from any association with the proposed league. The problem is television money, or rather the lack of it. 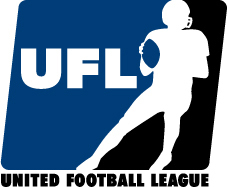 Once NBC acquired tv rights for NFL Sunday Night Football there was no chance of the UFL ever playing a single game. The league was supposed to start play in the spring of 2008. Crickets. Not only has the “league” postponed the entire 2008 theoretical season, but they haven’t secured ownership or a stadium for a single hypothetical franchise. Las Vegas is a perfect example. After originally touting Las Vegas as a cornerstone of the UFL and having Sam Boyd Stadium director Daren Libonati announce a deal was “near” to bring a franchise to Sin City, NOTHING has happened. The reality for the United Football league is the NBC deal killed any chance of the league. Every network is now tied to the National Football League. CBS and Fox carry Sunday afternoon NFL games, ABC (ESPN) has NFL Monday Night Football and NBC carries Sunday night NFL games. Just where in the hell are these supposed UFL games going to air? The proposed new league would have their season schedule overlapping the NFL and ending “on Thanksgiving.” The UFL died the day NBC got NFL football. You’d think since Peter King WORKS FOR NBC he’d know this. Sadly, he’s too stupid. The rest of King’s column is filled with so much conjecture and out-and-out lies told to him by Huyghue that it’s literally embarrassing to read. Lie: The United Football League will consist of six teams next season with franchises in Los Angeles, San Francisco, Las Vegas, Orlando, New York and Hartford. Reality: Cuban, an internet mogul, doesn’t even have a website for his supposed football franchise. Although Cuban’s name was floated as a POTENTIAL owner when the idea for the United Football League was first hatched, he has already moved on. Cuban would probably be more intersted in owning a real-life sports franchise (like THE CHICAGO CUBS!) than some hypothetical team in a nonexistent league. Lie: The “Wilpon group” who owns the Mets will own the New York franchise in the United Football league. Reality: Neither Fred Wilpon or any other “Wilpon” has never said anything of the kind. There WAS a report in SI that Wilpon was buying a UFL team. That story was written by Peter King who undoubtedly was duped by Huyghue yet again. It’s not like WILPON told King he was buying a team. Lie: Each UFL team will have a salary cap of $20 million per team. Reality: Where’s that money coming from? As we mentioned earlier, there’s no tv money. Without a doubt though the biggest lie fed to King by Huyghue is the one about Michael Vick. Although King writes it makes “perfect sense” for Vick to play for the UFL in 2009 there’s a slight problem. He’ll still be in prison for the entire 2009 season. Apparently King did absolutely ZERO fact checking for his article. Vick was sentenced to 23 months in prison. Even if we take Huyghue at his word (yeah, right!) 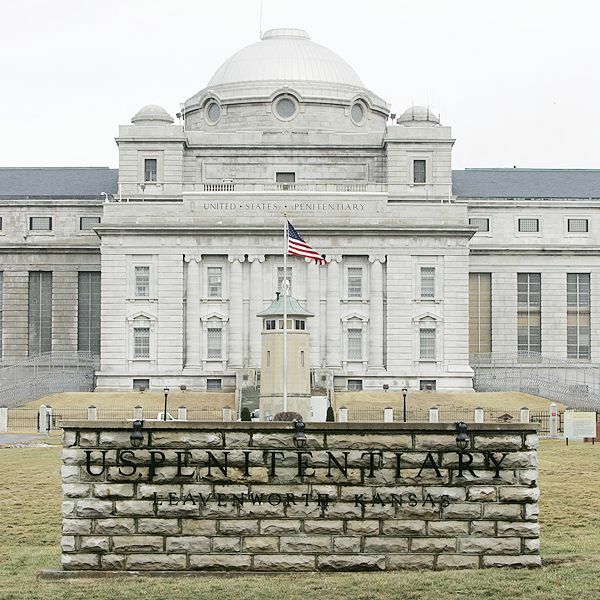 that means Vick will be in prison for the entire 2009 UFL season. So much for the 98% chance of Vick playing in the league.